Brisbane has a huge range of accommodation options, but sharing your accommodation with other students is a great way to meet new friends and build international connections. If you're moving to Brisbane for study, there are opportunities to get to know the city before semester starts. Find out about living in Brisbane, as well as parks, events, facilities and recreation opportunities via the Brisbane City Council and Visit Brisbane websites. Orientation week is a great opportunity for you to get familiar with our campuses and learn to make your way around before classes begin. There are information sessions for students who are new to Brisbane. We recommend that you arrive a few weeks before semester starts so that you have time to find accommodation, adjust to life in Brisbane, and attend orientation week. If you're coming from overseas, there's a lot to learn when moving to a new country. The Choose Brisbane website has a comprehensive guide to adjusting to life in Australia that you can download. If you’re moving to Brisbane for study, there are opportunities to get to know the city before semester starts. If your child is moving to Brisbane for study, there are opportunities for them to get to know the city before semester starts. Orientation week is a great opportunity for your child to get familiar with our campuses and learn to make their way around before classes begin. There are information sessions for students who are new to Brisbane. We recommend that students arrive a few weeks before semester starts so that they have time to find accommodation, adjust to life in Brisbane, and attend orientation week. If your students are planning to move to Brisbane for study, there are opportunities to get to know the city before semester starts. Orientation week is a great opportunity for your students to get familiar with our campuses and learn to make their way around before classes begin. There are information sessions for students who are new to Brisbane. Brisbane is an affordable city, but you still need to plan to make sure you have enough money for your study and living expenses. If you're moving to Brisbane, during your first few weeks you will need around $2,500 to get set up, including accommodation costs, money to set up your new home, and food and transport. Once you are settled, you should budget around $500 a week for rent, food, transport, bills, study costs and entertainment. For your student visa, you will also need to meet the financial requirements set by the Department of Home Affairs. Brisbane is an affordable city, but your child will still need to plan to make sure they have enough money for study and living expenses. If they're moving to Brisbane, during the first few weeks they will need around $2,500 to get set up, including accommodation costs, money to set up their new home, and food and transport. Once they're settled, they should budget around $500 a week for rent, food, transport, bills, study costs and entertainment. Brisbane is an affordable city, but students still need to plan to make sure they have enough money for study and living expenses. You can advise students that if they're moving to Brisbane, during the first few weeks they'll need around $2,500 to get set up, including accommodation costs, money to set up a new home, and food and transport. Once they're settled, they should budget around $500 a week for rent, food, transport, bills, study costs and entertainment. Your student visa allows you to work for up to 20 hours a week during semester, and full-time during the holidays. Most student visas now come with permission to work. If your visa doesn't give you permission to work, you must apply to the Department of Home Affairs (DHA) for permission. If you work and earn money in Australia, you must pay taxes. When you're working, your employer will take money from your wages to pay tax. You'll need to apply for a tax file number from the Australian Taxation Office (ATO). If you're studying in Australia for less than 6 months, you might not be eligible for a tax file number. You'll need to keep your tax file number secure and not share it with anyone. When you apply for a tax file number, make sure that you use your Australian address if you're studying here for more than 6 months. If you're an international student, you must organise and pay for your Overseas Student Health Cover (OSHC) before you come to Australia. OSHC covers medical and hospital care costs, some prescription drugs, emergency ambulance services, and pregnancy-related costs. If your family is coming to Australia with you, they must also have OSHC cover. Your offer letter will give you a quote for your OSHC from our preferred provider, Medibank Private. You can accept and pay this quote, and we’ll give you your OSHC card when you arrive. If you’d rather use a different provider, the Department of Health website has information about which health funds offer OSHC. You’ll need to provide us with proof of your policy. If you need help finding somewhere to live, our accommodation services can help you. You can rent a room in a student residential complex, which usually includes a bed, study desk, some storage, and shared bathrooms, kitchens and common rooms. Costs range from $265-500 a week. You can rent somewhere to live in agent-operated student accommodation, or organise your own by looking online. Rent is usually $150-300 each week. You could live alone or share accommodation with other people. We recommend finding somewhere to live close to campus. There are usually lots of options either within walking distance or easily accessed by public transport. International students can also live in homestays, where you will get a room and have the option of having your meals provided by the family you live with. Living in an Australian house is a great way to practice your English and learn about Australian culture. Homestays cost between $250-280 dollars each week, depending on how many meals you want provided. This covers all your water, gas and electricity bills. Internet and phone contributions are extra. Halal or vegetarian food costs an extra $30 per week. You must stay in a homestay for at least 4 weeks, and arrive within 7 days of your course starting. You can negotiate to stay longer if you’d like. Email isshomestay@qut.edu.au for more information, or apply for a homestay. There is a $250 homestay application fee. If you're under 18 years of age, you'll also need to apply for our supervision program. To meet the requirements for your student visa, you must either be placed in an approved homestay or live with a parent, guardian or relative until you turn 18. The supervision program includes a registration fee of $110 and a daily fee of $6.60, which you'll have to pay until you turn 18. You can also live in a homestay, where you will get a room and have the option of having your meals provided by the family you live with. Living in an Australian house is a great way to practice your English and learn about Australian culture. Homestays cost between $250-280 dollars each week, depending on how many meals you want provided. This covers all your water, gas and electricity bills. Internet and phone contributions are extra. Students can get help finding somewhere to live with our accommodation services. They can rent a room in a student residential complex, which usually includes a bed, study desk, some storage, and shared bathrooms, kitchens and common rooms. Costs range from $265-500 a week. Students can also rent somewhere to live in agent-operated student accommodation, or organise their own by looking online. Rent is usually $150-300 each week. Students could live alone or share accommodation with other people. Moving your family overseas can be expensive, and will also be a big adjustment for your spouse and children. You may need to provide evidence of your financial capacity with your visa application. Find out more about the documentation required through the Department of Home Affairs website. To receive personalised support for your circumstances, you can contact an international student adviser at issadvice@qut.edu.au. International students can bring immediate family members to Australia. It can take up to 2-4 months to bring your family to Australia. You can discuss your options with an international student adviser. We can help you get ready to bring your spouse and children to Australia, including finding child care, organising school, and finding support groups and international communities. Your family will need to apply for the right visa. Find out about visa rules and requirements via the Department of Home Affairs website. Your family will also need to be covered by Overseas Student Health Cover. Moving your family overseas can be expensive, and will also be a big adjustment for your spouse and children. If you need any help with the process, contact an international student adviser at issadvice@qut.edu.au. If you're an international student, we can meet you at the domestic or international airport when you first arrive and take you to your accommodation. The weather in Brisbane is fantastic, with an average of over 280 sunny days each year. We've got warm summers (up to 35 degrees celsius) and mild winters (as low as 10 degrees celsius), and a rainy season from December - April. 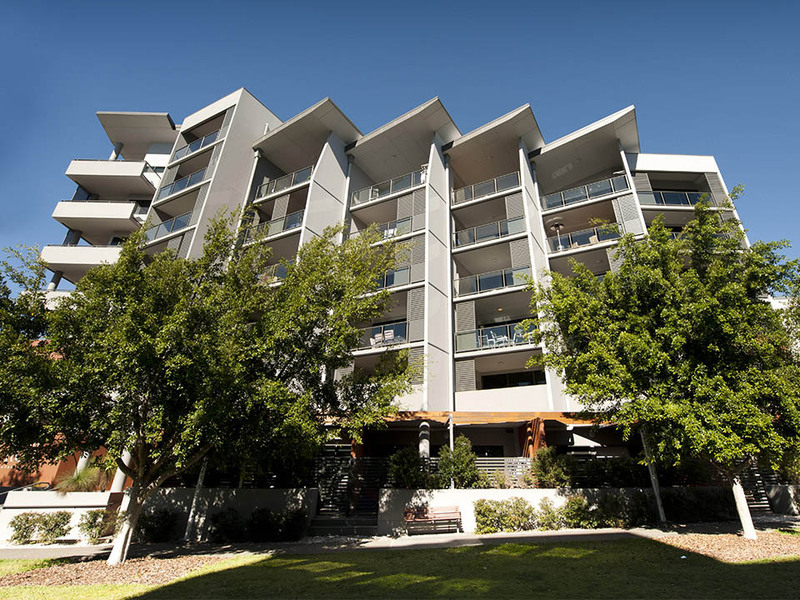 It's easy to access both our campuses: Gardens Point in the Brisbane CBD and Kelvin Grove 2km north of the city. Brisbane is a multicultural city, and you'll be able to find speciality supermarkets with all the ingredients you're familiar with. Supermarkets are also open 7 days a week, and you can explore weekend farmers' markets for fresh produce. There are hundreds of restaurants in Brisbane, with diverse options from dozens of countries. 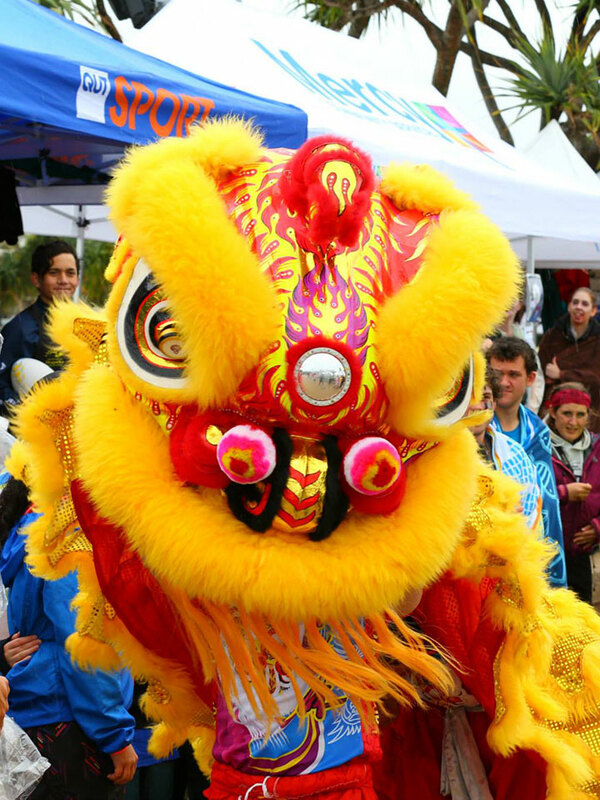 Brisbane has a rich and diverse cultural life, with regular festivals, exhibitions and performances. Brisbane has great cultural hotspots, like the Fortitude Valley and Sunnybank for authentic Asian markets and restaurants, as well as vibrant international communities from all over the world. A quarter of Brisbane's population was born overseas, and almost 20% of our households have a language other than English as their first language. French, German, Italian and Spanish Film Festivals. 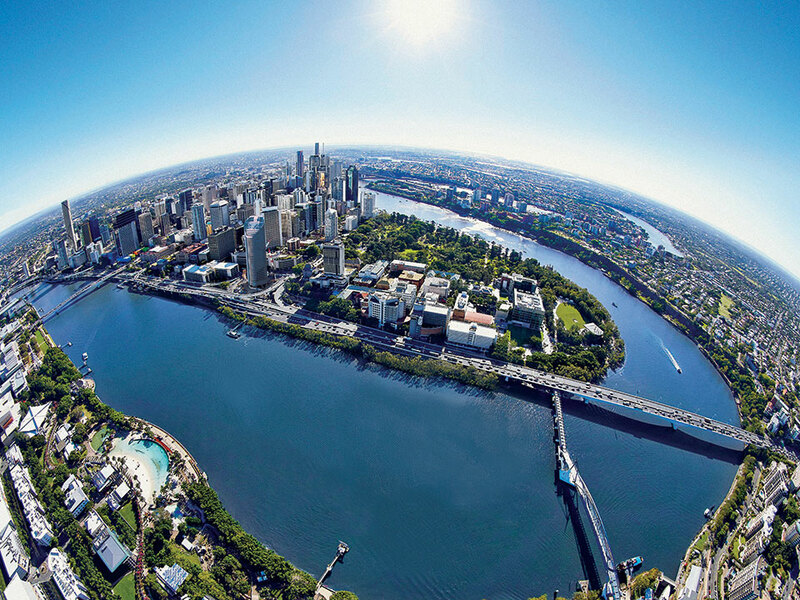 Brisbane is a gateway to Queensland, a state of varied and stunning natural beauty. We have beautiful national parks, hundreds of kilometres of beaches, tropical rainforests, and the Great Barrier Reef. Just an hour south of Brisbane is the famous Gold Coast with amazing beaches, amusement parks, and shopping. Just 1.5 hours north of Brisbane are the beautiful, quiet beaches of the Sunshine Coast. 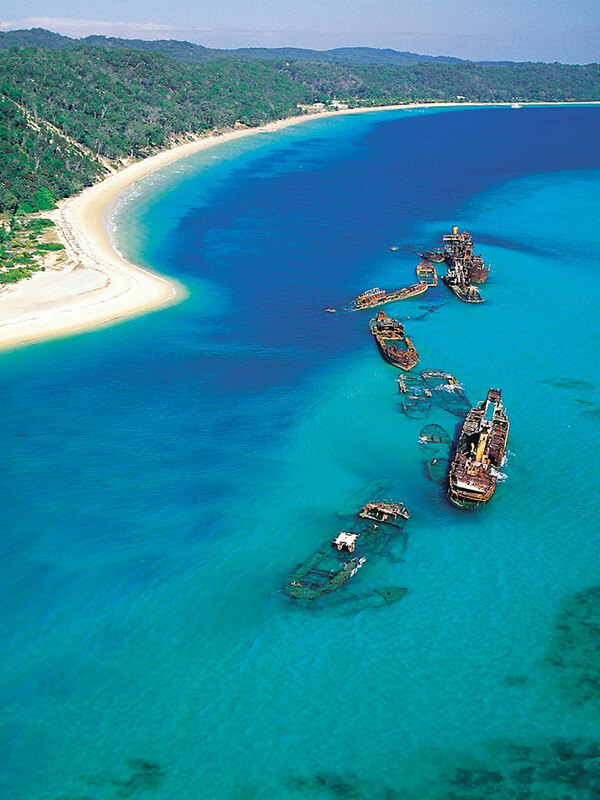 There are endless things to explore in Queensland. 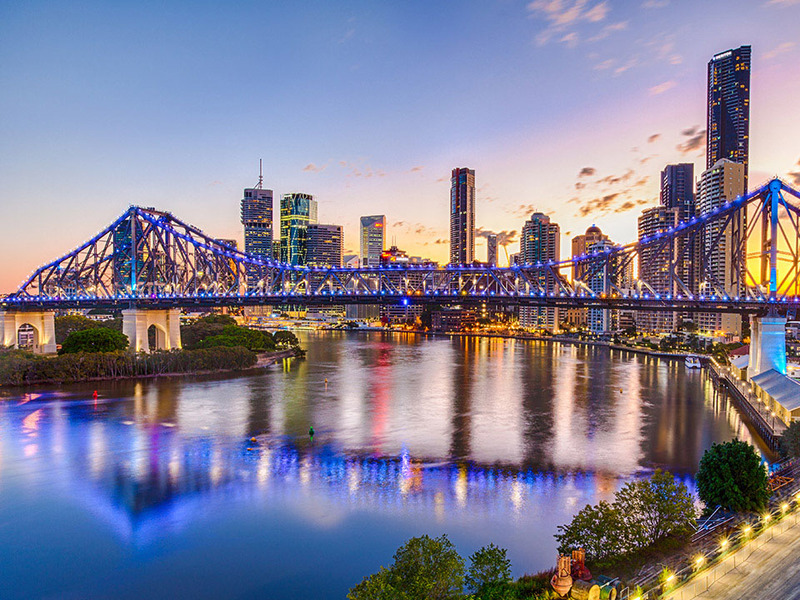 Brisbane is also within easy travel distance of Australia's other major cities and attractions, as well as only being a short flight from great international travel destinations like New Zealand, Bali, and South-East Asia.